Dotted line: Polar motion, 2001-2006. 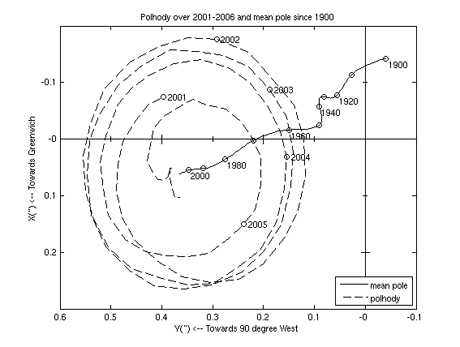 Solid line: mean pole displacement, 1900-2006. ※1：Rhett Allain. 2010. "What if everyone jumped?" From Dot Physics.